Who was Dr Maria Montessori? 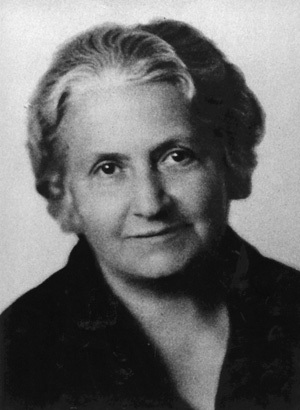 Maria Montessori was one of the most influential pioneers of early childhood education. She was the first woman to graduate from the University of Rome Medical School. She based her educational method on observations she made in the classroom. Maria Montessori was friends with Helen Keller, Sigmund Freud, Mahatma Gandhi and Alexander Graham Bell. She died in Holland in 1952, leaving behind a legacy of a method of education that combines a philosophy with practical approach based on the central ideas of freedom for the child within a carefully planned and structured environment. The whole child is educated: physically, emotionally, intellectually and spiritually. Children experience life through these 5 planes of development. Each area is vital in the overall development of the child. 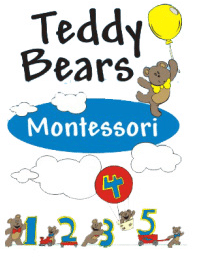 At Teddy Bears Montessori, we focus on each area, realising the importance of the interrelationship between areas of development. They have the freedom to choose which activity they would like to work with for the day, however it is the directress/ teacher’s responsibility to ensure that the child is being exposed to various area of work and development. Children are encouraged to work individually or sometimes in small groups depending on the activity. Children learn at their own pace and not that of the directress/ teacher/ or the rest of his/her peers. A child may repeat an exercise/ activity as many times as he/she wishes as it is through repetition that a child becomes a master at learning a skill and it also builds his/her concentration level. We make use of didactic materials (realistic and child-size), eg. heavy and light. Maria Montessori said, “The hand is the instrument of man’s intelligence.” By this she emphasised the importance of the connection between the hand and the brain therefore the child is an active learner in a Montessori schooling environment. All children want to learn. There is no need for punishments and rewards. The child is free to choose an activity. They spontaneously choose the work that they want to do. This spontaneous activity encourages self-direction and self-reliance. If the children are self-motivated, their concentration and memory skills will develop. By allowing intrinsic motivation, self-discipline is developed. The child is protected from adult intervention as the equipment is self-correcting and stimulating as well as challenging.